The Australian Nanny Association (ANA) has taken the initiative to set up minimum standards for its nanny members. This will assist families who choose a Nanny as a legitimate and qualified 'In home care' professional, and promote quality in home childcare for families. Many Australian families employ nannies, but don't qualify, or can't access the government subsidised In Home Care scheme due to restrictions and the limited places available. The ANA and its members have created minimum national standards. The ANA will oversee the National standards for its membership and will promote professionalism in the industry and assist families, Nannies and Agencies to adhere to and maintain high standards in the field to improve quality of care for children and families. To support this initiative CareforKids.com.au has set up a new field in its nanny and babysitter search that allows parents to search for nannies and babysitters that are ANA members. Click here to view the new field, which can be checked by parents when looking for a nanny or babysitter on CareforKids.com.au. 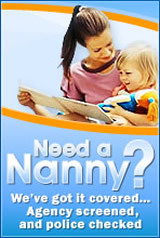 To find out more about the ANA's initiatives for nannies, Click here. October's often a hot month and it's often when the temperature starts to climb. So it's important to get into the swing of good sun care for your child, whether he or she is at home, in child care or at school. According to the Cancer Council, children and babies are at particular risk of sunburn and skin damage because of their delicate skin. Exposure to UV radiation during the first 15 years of life greatly increases the risk of developing skin cancer later in life. Australia has the highest rate of skin cancer in the world. Almost 2 in 3 people who spend their life here will develop some form of skin cancer. There are more than 1800 deaths from skin cancer in Australia every year. In 2008 in NSW, melanoma was the most common cancer in males aged 25-54 and in females aged 15-29. So it's incredibly important to instil the importance of being Sun Smart at a very early age. And if your children are in child care, do not rely on the child care centre or service to do your job for you. That said, child care centres are also responsible for the health and safety of your child while in their care, and when you enrol your child into a child care service, expectations of their sun smart duties should be agreed. Yes it's that time of year again when suddenly this term is going to fly by and before we know it we'll be into the long summer holidays. For those of you not lucky enough to have children at child care centres that don't close in the school holidays, apart from the few days over Christmas and New Year, then getting organised now is very important because places for vacation care programs and services go FAST. With most working parents only getting the standard 4 weeks holiday per year, vacation care is a necessity, but often hard to come by. Make it easy on yourself by doing a Vacation Care Search on our website now to find services nearest you that offer OOSH care and run vacation programs. 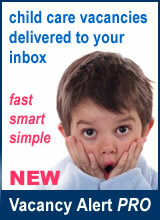 Search by Service, Postcode or map area. 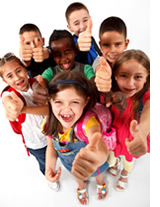 Out Of School Hour Care Centres: Generally only provide care for children who are at least 5. Check with individual centres on their minimum age requirement. If your child attends a school that has out of school hours care facilities, you may be lucky in that most of these services also offer Vacation Care. These services are also usually open to children who don't go to that particular school in the term time registering with them, so it's worth making enquiries with out of school hour centres in surrounding suburbs. Many working parents don't have family to fall back on, and if vacation care is hard to come by in your area or budgets are tight, an alternative to formal vacation care is to share with other parents. Make sure you talk to your children's friends' parents about the potential for sharing the duties over the summer holidays. Most parents are happy to entertain the idea whether it's for the whole holidays or just a portion of them to alleviate the need for unpaid leave, expensive vacation activities. The gorgeous Hugh is of course a model Dad (in more ways than one) to the gorgeous duo, Oscar and Ava and has never dangled them over a balcony or inflicted any sort of negative publicity on them at all. Like all good Aussies, Hugh keeps it real and that's why we love him. Hugh was followed by Prince Frederik of Denmark (Aussie by marriage) in second place with 12% of the vote, David Beckham with 11%, and Keith Urban and Brad Pitt sharing 4th place with 8% of the votes each. So congratulations for all those Top Celebrity Dads and we hope you all had a great Fathers' Day. I want everyone to put a hand up, classroom style (does that feel uncomfortable?). OK, put your hand down if you ever took any money out of your mum's purse. Put your hand down if you ever "borrowed" another child's toy without asking first. Put your hand down if you ever nicked a sweet or other low value item from the local shop. Put your hand down if you ever took something home from school and didn't take it back… You can see where I'm going with this, can't you? I imagine there are very few of you with your hands still up and if you do still have a hand up, you are most likely suffering from memory loss or were too young to process the memory of the event in the first place. Children steal. Fact. But stealing is really a very adult term put onto an action of taking something that's not yours. However it doesn't actually mean much to a child until the age of about 5 or so. Children are impulsive. They see things and take them without much notion as to the ownership of property and whether it's right or wrong to take something that isn't technically theirs. They will pick up sweets, grapes or other easily obtainable item in a shop and eat them until you tell them that's not the right thing to do and teach them the consequences of doing so. Stealing as a small child isn't generally an issue. It's all part of their development. It can be a problem when it continues and becomes habitual after the age when they should understand right from wrong and the concept of ownership, possession and also consequences – both for themselves and the person he or she is stealing from. Don't panic. If your child steals something, it doesn't generally mean they will turn into a delinquent and be banged up by the age of 16. Small children are particularly fond of their friends' beads, necklaces, coins, scented erasers, Matchbox cars, Lego, items of clothing etc. They take them purely because they like them and want them. It's very simple to them. And pre-schoolers really have no mal-intent, but are purely acting on impulse without any sense of wrongdoing. 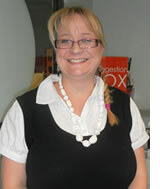 Louise Fulton Keats is an Australian food writer and nutritionist. Granddaughter of the famous Margaret Fulton she has grown up with food and having switched careers from lawyer to foodie, she is imparting her own and her family's vast knowledge of food to the public through her books. She lives in Sydney's Inner West with her husband John and their son, Harry (almost 3). Are you a Mum or Dad and want to share your child care experience with others? 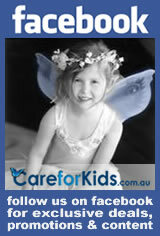 Tell us your story and receive a special gift from CareforKids.com.au. Download the questionnaire here and submit to us via email including a photo. We are running a series of profiles designed to introduce our readers to the movers and shakers of Australia's child care industry. 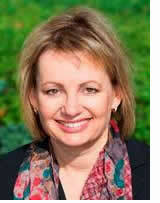 This month we feature a Q&A with Sussan Ley Shadow Minister for Child Care & Early Learning. What does your current role as Shadow Minister for Child Care and Early Learning entail? Do you have experience in the child care sector? Perhaps the best part of the job is getting to spend a significant amount of time in a sandpit or play area learning from the 'experts' and of course their educators and carers. The immediate task for me is finalising the terms-of-reference for a Productivity Commission inquiry into child care if we are returned to Government. I guess my experience with the child care sector started off as a consumer, with my children attending family day care, long day, occasional care or preschool. As a then farmer's wife I can tell you a mobile service would have been fantastic as back up for those times when I was feeding calves, cooking for the shearers or going into town to get supplies. What are your primary objectives/goals within the Australian child care sector? As I see it, achieving a balanced work and family lifestyle is the biggest challenge facing young Australian families. Providing the best possible quality care that is both affordable and available is what most parents are after. Child care is a service industry after all, so if we're not delivering – or can't deliver that -then the consumer looks elsewhere. Parents of babies and toddlers need the best information on what to feed their child as he or she grows up, however it's not always easy. 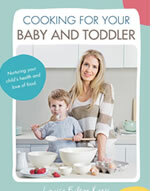 Cooking for Your Baby and Toddler is a new book by Louise Fulton Keats and gives you tempting recipes and know-how in a contemporary format, with beautiful photography, and easy-to-understand nutritional information. Louise Fulton Keats is the granddaughter of the iconic Margaret Fulton, and is now a mother and qualified child nutritionist. Equipped with a lifetime love of cooking from an early age, Louise has developed a guide that teaches parents everything they need to know about feeding their baby or toddler healthy and delicious food that won't consume hours in the kitchen. Containing invaluable meal planners, over 100 quick and easy recipes for all ages, the book also contains a wide range of useful topics, such as food allergies, organic ingredients, variety of foods, cooking methods, freezing and storing, and what foods should be avoided. Louise also shares essential information on nutritional needs, potential feeding problems and solutions, and recommendations on how to understand taste preferences and avoid fussy eating. LOUISE FULTON KEATS is a nutritionist and author who has written the hugely popular books, My Grandma's Kitchen and My Grandma's Kitchen:The Best Ever Birthday. Her new book, Cooking For Your Baby and Toddler is out now. Louise and her publishers, Hardie Grant Australia, have kindly given Careforkids.com.au three giveaway packs comprising each of Louise's three books; her new title Cooking For Your Baby and Toddler and the two books within Louise's My Grandma's Kitchen series valued at $94.85 per pack. Child care professionals share a commitment to improving society by creating dynamic and nurturing care environments for Australia's youngest learners. Jayanthi Balendra or "Aunty Bala"
Ladybug Early Learning Centre and Kindergarten - Kilsyth Victoria. Welcome to the October issue of our parent newsletter. Thanks to all of you who took our Top Celebrity Dad Poll. We have the results below. With the weather turning up the heat now it's a good time to look at the responsibilities of both child care service and parents when it comes to sun care. 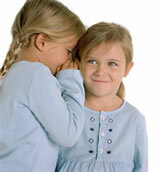 Have you experienced children with "sticky fingers" – either your own or your children's friends? 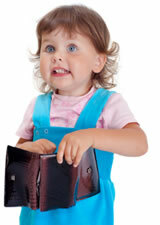 We take a look at why children steal and what to do about it. We're counting down to the Summer Holidays (yes already) so we've got a bit of a reminder about booking Vacation Care and if you choose to do it yourself at home, we have some tips on Vacation Care sharing with friends and some great activities. The Australian Nanny Association has released a number of standards to help both parents and nannies in their choice of carer, so we let you know what this means. This month's Mum in Profile is food writer and nutritionist, Louise Fulton Keats and Louise and her publishers have very kindly stumped up for this month's competition – three sets of Louise's cookery books including her new book, Cooking For Babies and Toddlers. 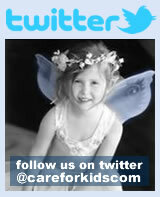 Keep up-to-date with the latest child care news articles from here and around the world. Your Privacy is assured. We will never give, lease or sell your personal information. Period. Please contact us with any questions or comments. Suggestions you may have for future issues are most welcome. Looking for family friendly organisations to work for that have a supportive management style and understand the needs of their employees? Want to Nanny share and looking for a family to share with? 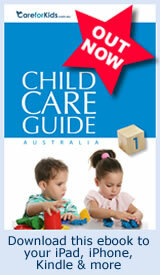 Our parent toolkits make finding and choosing child care easy.